The latest issue of the ETUI’s Worker Participation news bulletin was published on 19 November. 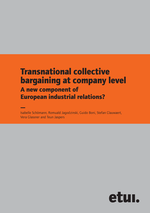 The editorial lead article written by the Institute’s associate researcher Sigurt Vitols takes a critical look at the European Union’s legislation on company takeovers and finds it lacking in terms of worker involvement rights during the takeover process. 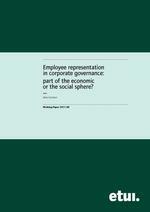 As the EU Commission prepares a new communication on company law and corporate governance, the article makes the case for a revision of EU takeover law which would be more stakeholder than shareholder-centered and which would provide “a better balance between the rights of shareholders and the protection of workers as key stakeholders in the company”. Editorial: DG Internal Market and Worker Involvement: Where’s the beef? The updated reports on national industrial relations are now available in French and German. The ETUI is recruiting a researcher specialised in comparative research on multinational corporations and employee representation and a researcher specialised in comparative research on industrial relations and specifically collective bargaining. Applications and supporting documents (CV, evidence of qualifications, list of publications, etc.) should be sent before 11 March 2012 to the ETUI. More information can be found in the job adds on the ETUI website. Seminar "Financial analysis and business economics"
Also our 'SE Facts and Figures' have been updated with the latest data. This year’s European Panel conference, organized by the Hans-Böckler and Friedrich-Ebert Foundations and the ETUI in cooperation with the German and European Trade Union Confederations, will take place on 8 and 9 November in The Hotel in Brussels. Distinguished speakers will focus on the application of co-determination in Europe and will put forward demands to the European Parliament and Commission in order to develop and strengthen workers' participation across the EU. European Panel 2011 presents topics for future European debate and provides a forum for exchanging ideas with other participants from all over Europe. Garibaldo, Francesco / Telljohann, Volker (eds.) The Ambivalent Character of Participation. Participation is a social process, which is basically part of an exchange relationship. Thus, it is principally pluralist and ambiguous in its meaning. As a consequence, the reconciliation of voices needs innovative approaches to support balanced participation experiences. The ambivalent character of participation intends to provide a look at new initiatives in the various fields of workplace participation. Leading international scholars examine the role of institutional contexts for participation, the development of new forms of interest organisation as well as the relationship between organisational performance, participation practices and quality of working life. The contributions are not limited to taking stock of new experiences in the field of workplace participation, but also contribute to designing a new research agenda. More information can be found here (opens in new window). On 12 July 2011 in Brussels, keynote speakers will discuss current challenges and policy alternatives in corporate governance in Europe. 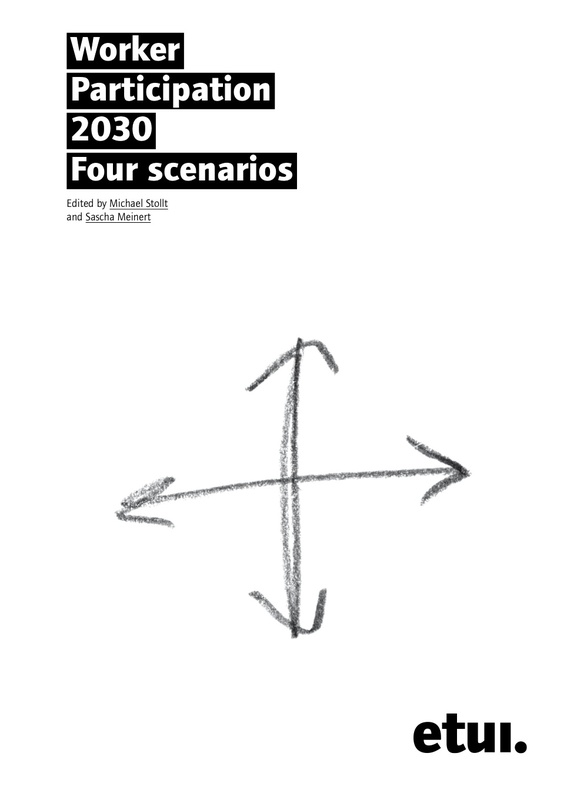 Panel sessions will debate new ideas and alternatives presented in the book The Sustainable Company - changing the way our corporations are governed in the interests of stakeholders and society. The programme can be found here (.pdf). More information on the book is available here. During the first day of the 12th ETUC Congress the ETUI will organise a ‘fringe meeting’ on worker involvement in European companies. The programme is as follows. Jan Cremers (ETUC policy advisor) will give an overview of the current situation of the SE and SPE debates. After that, Isabelle Barthes (EMF senior policy advisor) will speak about Transnational Company Agreements and key related issues, such as negotiating actors and negotiated topics, as well as EMF involvement and policies in transnational company-based negotiations. The final speaker is Christine Asmussen (Kreds Nordea Head of Secretariat), she will give a presentation on Nordea Bank’s cross-border trade union body and the links between the EWC and European Trade Union Federation. This meeting will take place on Monday, 16 May, from 1pm to 2 pm, and will be moderated by Aline Conchon (ETUI researcher). 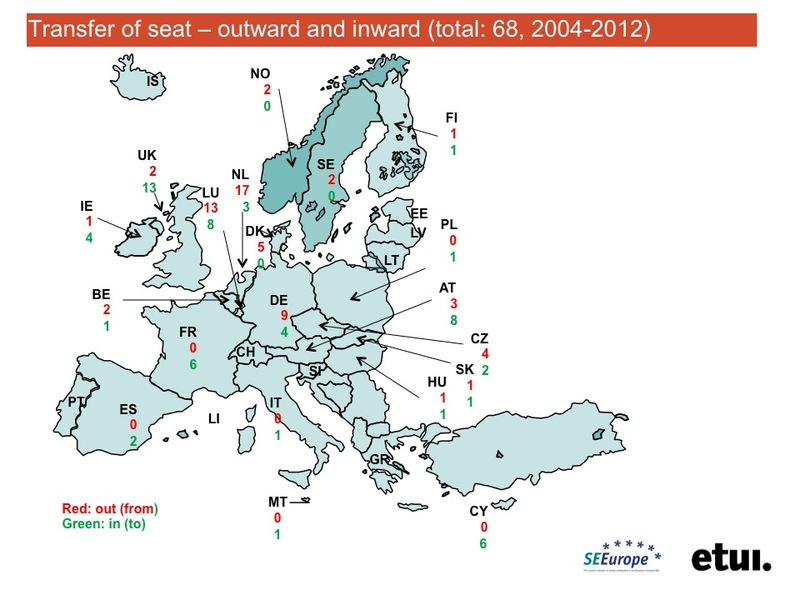 The EU member states have very different traditions and systems of industrial relations. For a better mutual understanding it is crucial to be aware of the key differences and similarities. 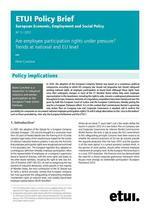 The National Industrial Relations section on worker-participation.eu follows this aim. 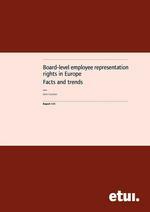 The updated country reports – prepared as in past years by Lionel Fulton from the Labour Research Department (London) – provide a unique overview on trade unions, collective bargaining, workplace representation, board-level representation and representation in EU-bodies. The update in German and French will follow soon. The PARL newsletter can be downloaded for free on the website of the Social Development Agency (available in EN, FR, DE). Also our "SE facts and figures" have been updated. 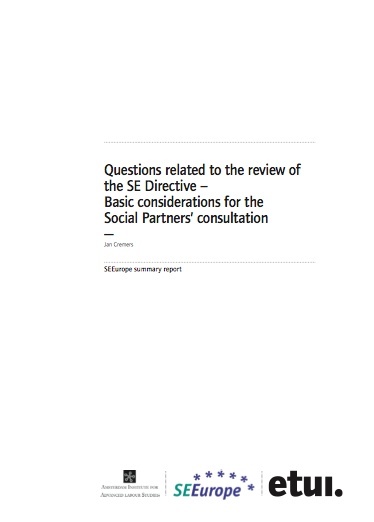 Observatoire Social Européen (2010) European Sectoral Social Dialogue Factsheets. Project coordinated by Christophe Degryse. The current financial and economic crisis: Point of departure for stronger worker participation in national corporate governance? In total, 21 SEs have been added to the database in the two months since the previous update. At the time of writing, the ECDB (SE Factsheets) provides information on 622 established and 19 planned SEs. Two new and three previously registered companies were added to the ‘normal’ category. The three recently established ‘normal’ SEs were all registered in Germany and formed by conversion. Seminar report "European company law and corporate governance – importance for workers' board-level representatives in company boardrooms"
In this context, the Commission has launched a public consultation on the results of the Study on the operation and the impacts of the Statute for a European Company (SE). The deadline for responses was 23 May 2010. The ETUI's reply can be found here. by Sergio González Begega and Holm-Detlev Köhle. 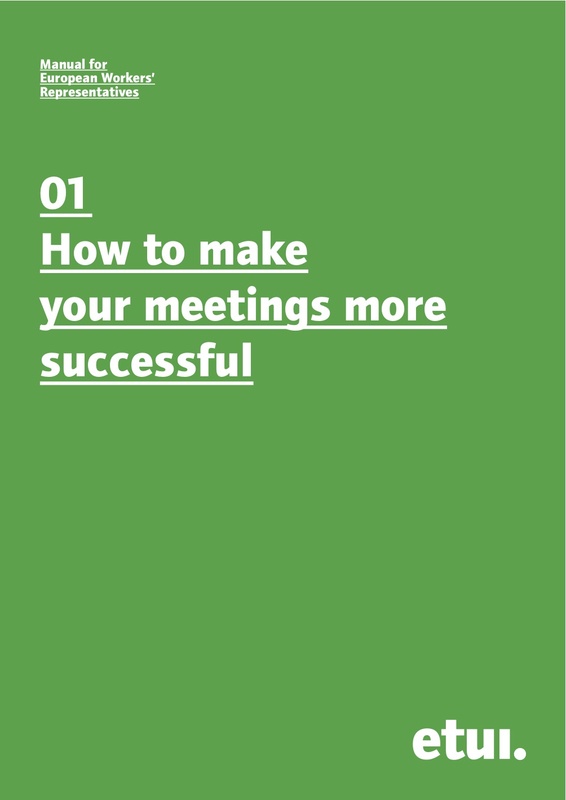 Download here (pdf). Bienvenue sur le site de worker-participation.eu - Worker Participation.eu in French language! La section « Systèmes nationaux de relations professionnelles » est maintenant disponible en FRANCAIS. Veuillez-cliquez sur le drapeau au-dessus de la page. Les relations professionnelles diffèrent largement d'un pays européen à l’autre, ce qui rend une éventuelle harmonisation extrêmement difficile. La mondialisation en cours accroît l'importance de la dimension européenne du dialogue social et de la collaboration transfrontalière des représentants des travailleurs et de leurs syndicats. Cette partie entend contribuer à une meilleure compréhension mutuelle en fournissant des informations de base sur différents aspects essentiels des systèmes nationaux de relations professionnelles. La partie consacrée aux systèmes nationaux de relations professionnelles reprend certaines caractéristiques essentielles du fonctionnement des relations professionnelles dans chacun des PAYS et permet d’effectuer une comparaison EN EUROPE. La CARTE DES RELATIONS PROFESSIONNELLES EN EUROPE et l’OUTIL DE COMPARAISON vous donnent un premier aperçu des principales différences existant entre les pays. The paper from Eleni Patra (CIRN Athens University of Economics and Business) deals with the transposition of the European Company (SE) legislation in Greece. This time, the Newsletter includes information on the following topics: European Private Company (SPE), 14th Company Law directive; Communication from the Commission on the review of the SE Directive; Corporate Governance Forum; Number of SEs; Enforcement of the European company law. 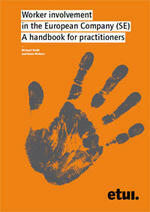 The ideal language companion for anyone working in international education and trade unions. It allows an accurate and quick consultation of specialist terminology used in talks and discussions as well as within the framework of negotiations. Click here for download as pdf. The distribution and significance of employee financial participation in Europe differs significantly from one country to another. 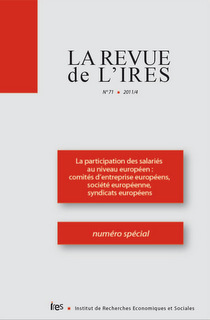 Analysis shows examples and cases of good practice concerning financial participation in all European countries, even if the political and economic preconditions vary between strong legal foundations for the active promotion of financial participation (as in France and the UK) on the one hand, and rather poor recognition of such practices at enterprise level by the social partners, on the other. For this reason a new section has been added specifically dedicated to this topic. For each country information is available comprising an overview article, basic data, the legal background, national trade union positions and further links. Additionally overview articles deal with similarities, differences and trends. The information – which was compiled by WMP consult for www.worker-participation.eu – is rounded-up by a glossary and an overview table.